While Salomon Rondon appears to have found his shooting boots at Newcastle United, there is still a distinct lack of firepower at St James’ Park. Behind the Venezuelan stands Joselu in the pecking order and when the Spaniard – who is a hard worker who lacks the cutting edge to be a regular goal scorer – is your second choice, you know your side has serious issues. Rafael Benitez will be looking to see how he can improve his side in the January transfer market but he should look no further than across the English Channel, where there is one man tearing up Ligue 1. 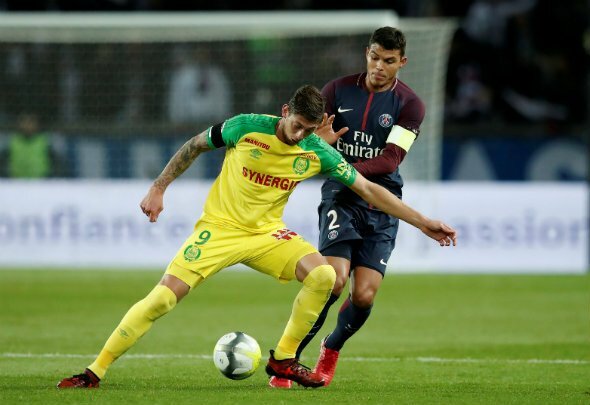 Behind only world superstars Neymar and Kylian Mbappe in the goal scoring ranks in Ligue 1, Emiliano Sala is in the form of his life for FC Nantes, netting 13 goals in 16 appearances across all competitions. The Mirror state that his exceptional record has seen Premier League sides Fulham, Crystal Palace and West Ham cast glances ahead of a potential transfer swoop – but it must be Newcastle who raid the French side to end their woes. What do the Magpies have up their sleeve to convince the Argentine to move to Tyneside? Other than the £15-to-20million that will reportedly secure his capture, they have the promise of game time. Palace have Wilfried Zaha, Fulham Aleksandar Mitrovic and West Ham Marko Arnautovic already occupying their first choice striker role, but Benitez does not seem as set on Rondon as a regular as his rivals are on theirs. Sala would be able to play regularly, either from the bench or in the starting XI and if he can continue his fine form shown, he will quickly become a favourite of the Toon Army. It is a chance to end the problems up top and fire the club to safety – Newcastle best blow their rivals out the water.